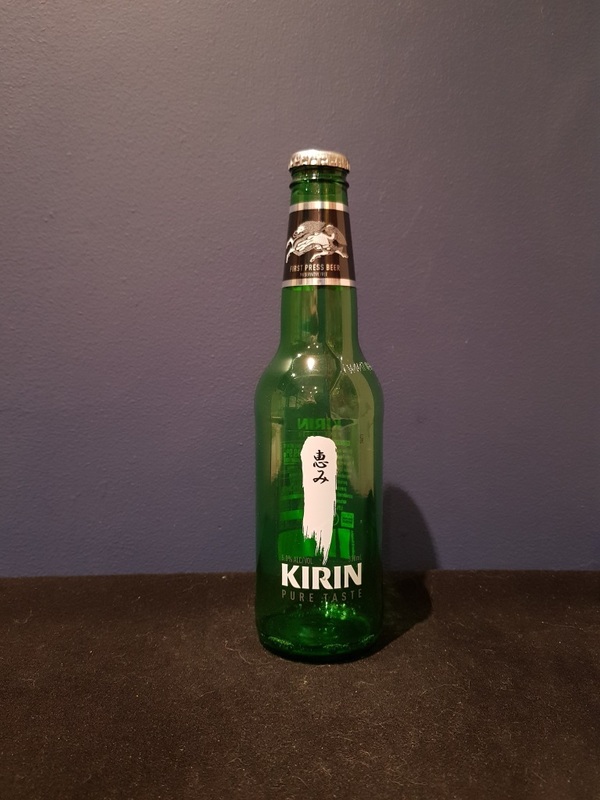 Beer #2811 is a lager brewed by Kirin in Japan. I’ve had this one in the fridge for seven months and I’ve avoided it until now, along with a couple of others in there (they were gifts, I wouldn’t buy them). But surprisingly I don’t mind this one, it’s a bit better than the average mass produced commercial lager. It’s a rice lager and it tastes a bit on the sweet side, though it’s all rather grainy but that’s not a negative. It’s got more taste than other lagers which is a big plus. The bottle size is 330ML with an alcohol content of 5.00% (containing approximately 1.30 AU / 1.60 UK standard drinks), .